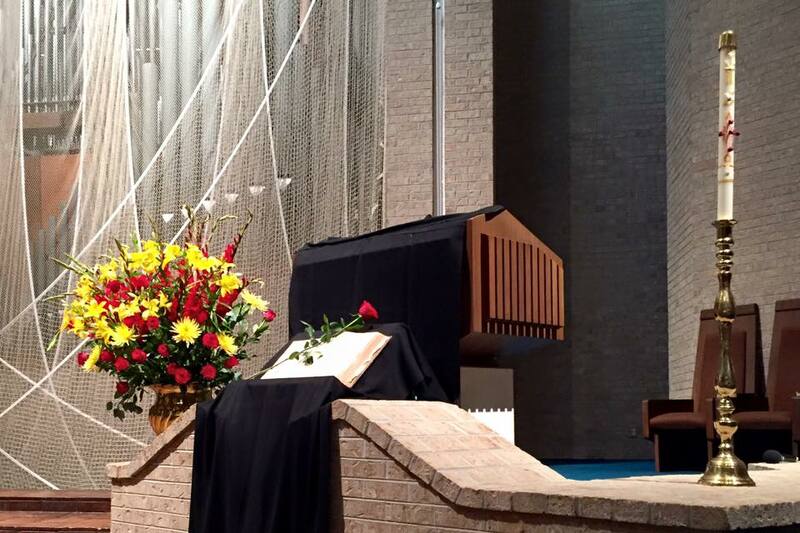 About a dozen pulpits in partner congregations across the Cooperative Baptist Fellowship stood empty and draped in black on Sunday. This, in solidarity with the historic Emanuel AME Church of Charleston, S.C., after the deaths of its pastor, the Rev. Clementa Pinckney, and eight others last week in an act of racially motivated, hate-filled violence. Also killed were the Rev. Sharonda Coleman-Singleton, the Rev. Dr. Daniel L. Simmons, Sr., the Rev. DePayne Middleton-Doctor, Myra Thompson, Tywanza Sanders, Ethel Lee Lance, Cynthia Hurd and Susie Jackson. 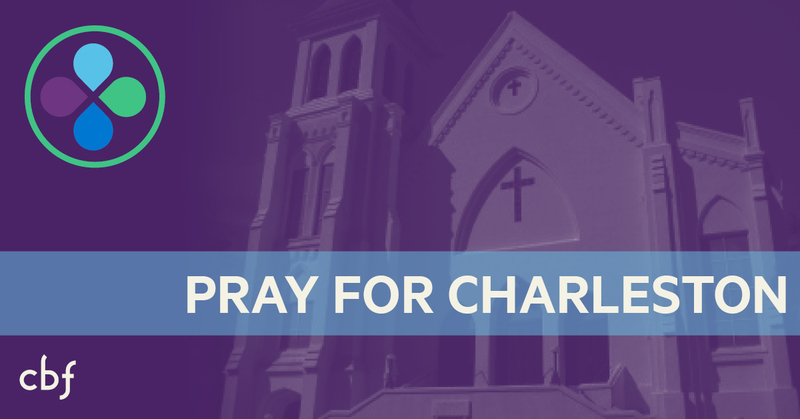 The Cooperative Baptist Fellowship and CBF of South Carolina stand with the Emanuel AME congregation and the families of the nine victims in this time of grief. We pray for a sense of God’s peace in the wake of this tragedy and that God would bind both our wounds and bind us together across our divisions in responding for good. CBF is committed to impacting our nation with Christ-like love and being a vessel and a force for racial reconciliation. One way of showing that commitment is to work alongside our Baptist sisters and brothers and with the New Baptist Covenant, as we support Covenants of Action across Baptist life, where two or more churches from different races and possibly different Baptist traditions come together to address a pressing need in their community. Find more information about this important movement organized by the New Baptist Covenant here. Another way is to prayerfully consider and act to reach across denominational boundaries to start a dialogue with a church or churches in your community about making a difference in the fight against racial hatred and division. As churches gather for Wednesday night services, missions studies, youth group and prayer meetings this week, we hope resources on racial reconciliation will serve as a place to start important, Christ-focused conversations. A resource called “Racism,” published by The Center for Christian Ethics at Baylor University, includes a wealth of information, including a worship service with prayers, hymns, readings and scripture. This resource can be found here. There is also a study guide available from the Center for Christian Ethics available here. An additional resource, produced by EthicsDaily.com is a DVD and study Guide called “Beneath the Skin: Baptists and Racism.” “Beneath the Skin” shows that racism is far from eradicated, inside or outside of the church. Yet many Baptists are working together to proactive ways to break down the racial and ethnic walls of division and to be faithful to the Bible’s moral vision. Find more information and order a copy of the DVD here. Also, in an effort to generate local and national dialogue on ways to address racism in America, houses of worship representing diverse faiths will be asked to participate in a “Freedom from Racism” Sunday on July 5. In preparation for July 5, houses of worship will be provided with suggested resources including prayers, scriptures and conversation starters for the day of repentance, confession and healing — coming just a day after Independence Day for our nation and representing an opportune time for a conversation about freedom from oppression. For ongoing news and information about resources from the Cooperative Baptist Fellowship, visit www.cbf.net. Partnership is powerful. Let’s work together to spread the hope of Christ and a spirit of reconciliation throughout our land.